The workbench defines extension points for wizards that create new resources, import resources, or export resources. When you make selections in the new, import, or export menu, the workbench uses various wizard selection dialogs to display all the wizards that have been contributed for that particular extension point. 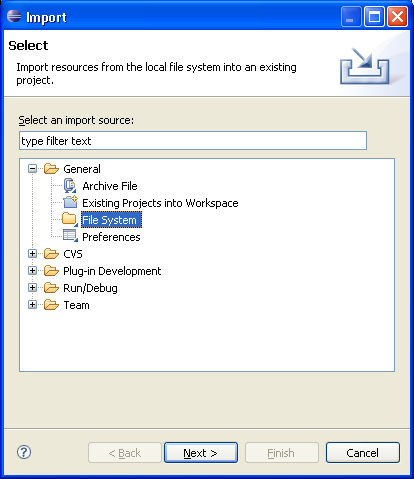 The import wizard dialog is shown below. Your wizard takes control once it is selected in the list and the Next button is pressed. This is when your first page becomes visible.